If you like our Jr. Kip Bar, you will LOVE our Jr. Bar PRO. 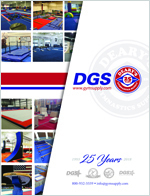 The stable design will give your gymnast confidence when training new skills. 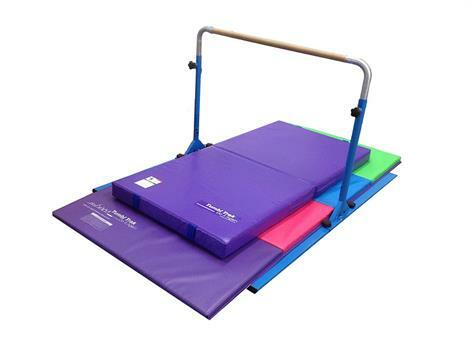 This extremely versatile piece of equipment is great for all skill levels and ages in the gym or at home. This Jr. Bar PRO is bundled with a great combination of two of our most popular mats, the 4ft x 8ft Tumbling Mat and the 3ft x 6ft Jr. Practice Mat. Having two mats gives a little more flexibility for other uses and drills when not used with the bar. 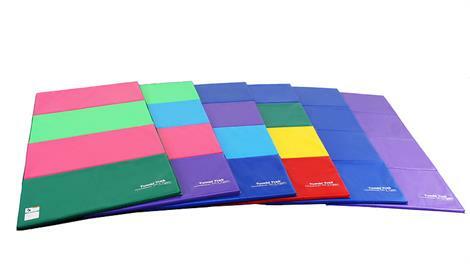 (1) 4ft x 6ft Flexi Home Mat (cut in two pieces). Place on either side of the center support bar to make the Tumbling Mat flush with the metal support.